Show your state pride! 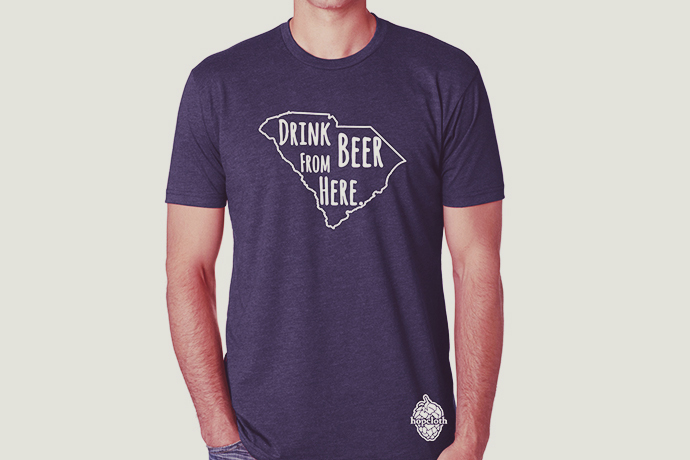 Drink Beer From Here state shirts from HopCloth will show your support of the home state’s craft brews. The shirts are Next Level CVC Crew, super soft and just the right thickness in Midnight Blue (60% cotton, 40% polyester blend). Women’s v-neck also available. Louisiana, Kansas and Wyoming not available. Available from Etsy.